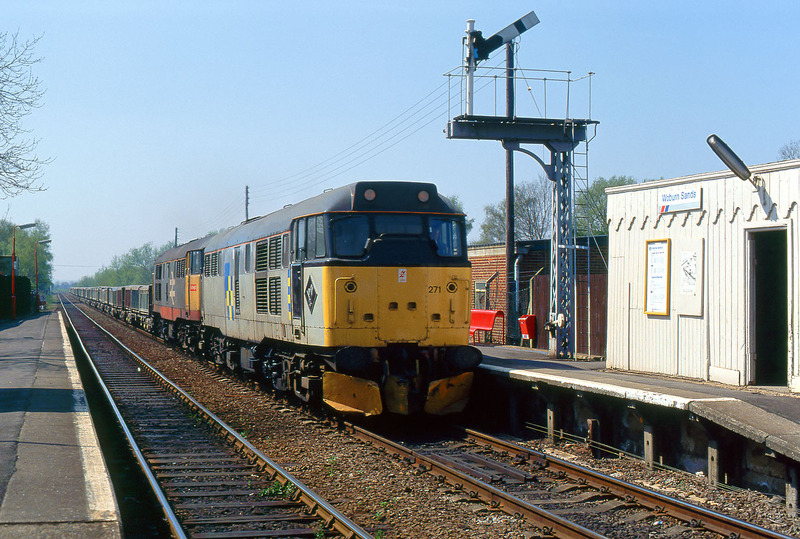 31271 & 31301 pass through Woburn Sands station on 28 April 1990 with the Forders Sidings to Willesden spoil empties. This short term contract was in connection with the North Circular road widening. Unfortunately the vintage wooden platform shelter, and the bracket semaphore signal have both since been removed. The only really modern elements in this picture are the red Network SouthEast seats and lamp posts!